If you’ve never heard of a life coach, you might be surprised to learn it is a popular and growing profession. Life coaches work with people one on one or in groups to help them make successful change in their lives. Typically, the client has a goal they want to achieve and the life coach uses specific skills and strategies to help them achieve it. Life coaching is built on the principal that everyone has the answers the questions they seek. Life coaches help draw out those answers and help people live their lives to the fullest. Clients spend anywhere from three months to a year or more working with their coach to create change by addressing challenges, trying new strategies and taking action based on specific work they do with their coach. 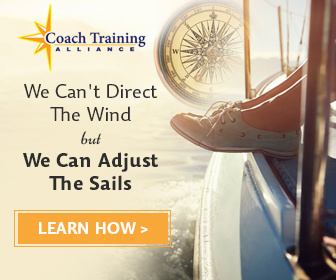 While a life coach’s responsibility runs the gamut and varies from coach to coach, what follows is a standard life coach job description. Coaches come from all walks of life. There is not one specific education or work background required to become a life coach. Some of the professions that are commonly associated with coaching include therapy, counseling, teaching and management. The common thread that these professions have is the desire to help people. Coaches spend a lot of time listening to their clients and helping move them forward in their lives. It’s important that coaches have the desire to listen, empower and motivate others to help them reach their goals in life. While it isn’t currently mandated that coaches have a specific certification, it is becoming more expected by those hiring professional coaches. Because the coaching profession has become more widely recognized and accepted, people and organizations investing in coaches want to make sure they are getting a return on their investment. Consequently, most clients look for coaches with a recognized certification, such as that from the International Coach Federation or ICF. The ICF is a widely known credentialing body focused on standardizing the coaching profession and holding coaches accountable to professional standards and etiquette. Their credentialing and accreditation programs are globally executed and recognized. You can research coach training programs on their website at www.coachfederation.org. 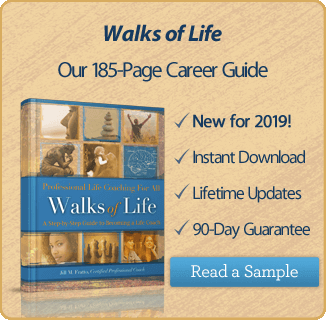 Life coaches can choose from several career paths. Many work independently or with a small business, some work for organizations and others provide coaching services through their current positions (counselors, managers, etc.). The ICF Global Study on Coaching stated in 2012 that nearly 86% of life coaches are independent. To work independently, coaches must not only possess coaching skills, but business and marketing skills as well. So if you are thinking about becoming a coach, know that business skills are key to getting clients to pay for your services. Coaches must work hard to network, advertise and get the word out to as many people as possible regarding their business. Further, coaches that choose a niche market or specific focus area position themselves better for a consistent stream of clients. The work environment of a coach is determined by the coach. Obviously, those who work for corporations are typically in an office environment. As for the high percentage of coaches that work independently, they determine how their work environment looks. Many coaches work with their clients by phone or in video sessions such as Skype or Facetime. For these coaches, they can work at home or from anywhere they choose to be as long as they are able to meet the client. It is common for coaches to work from home, but some also have an office outside of the home, especially if they meet with clients face to face on a regular basis. There are numerous benefits to being a life coach. Many coaches choose the profession because they get a personal fulfillment from helping others. After working in high stress jobs that aren’t fulfilling on a personal level, becoming a coach can serve many needs for people. Not only do they get to work with people to help them create the lives they desire, but they also get to create the work life they desire. Coaches typically work from home, make their own schedules and answer only to themselves rather than a boss or team of people. For many people, this benefit outweighs all others. Life coaching is a profession that isn’t going away any time soon. According to a recent study for the ICF, there are currently about 47,500 life coaches making nearly $2 billion per year collectively. Further, membership in the International Coach Federation has grown to more than 19,000 members. Coaching salaries range greatly based on the coach’s experience, number of hours worked and type of coaching provided. For example, corporate and business coaches typically make more than general life coaches. Like any business, the opportunity is there for the person who is willing to make it happen. In life coaching, the opportunity is large and ever growing.